At Kato Animal Hospital in Toronto, we care about your pet’s well-being and comfort. That’s why we emphasize preventative health care for all our patients. From blood testing for senior animals to dental cleanings, our veterinary services in Toronto are designed to ensure your pet has a long, healthy life. Please call to set an appointment time, although drop-offs can be arranged with our veterinarian. We’re open Monday through Saturday. Kato Animal Hospital is a licensed house-call mobile veterinarian offering veterinary services in Toronto, including the delivery or pick-up of your pet or supplies in the local area, if needed. House calls are best for routine procedures like vaccinations. Pick-up/ delivery is best for large dogs or large food orders. If your pet is ill, in-hospital treatment may be the best. When treatment options have been exhausted, Kato Animal Hospital will help with the difficult decision of euthanasia. 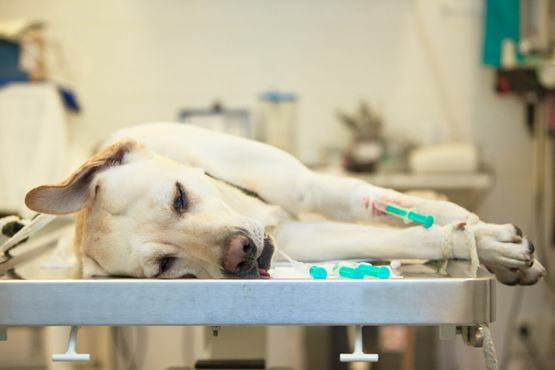 Owners who choose euthanasia can attend the procedure in our private client room or have it administered as a home visit, if booked in advance. From big to small, long-haired to hairless, Kato Animal Hospital gladly cares for all breeds of dogs and cats. For our popular four-legged friends, we recommend routine vaccinations and annual or semi-annual examinations to help prevent health problems. Early detection can improve your pet’s chances of recovery and prolong its life.